When Hurricane Sandy’s voracious flooding forced Hoboken’s Garden Wine & Liquor to close for a month for rebuilding and repairs, patrons posted their declarations of fealty on the window: they were going cold turkey and wouldn’t shop anywhere else until the store was back. Not every wine shop engenders this degree of affection and loyalty from customers, but I’m guessing most of those that do are one-off neighborhood spots. They may not offer the expansive selections of bigger stores but they give good value and great customer service, and often have a specialty that sets them apart from others in their towns. Garden Wine, at 7th and Park, occupies a modest corner space but Phil, the shop’s hands-on proprietor, is proud to stock the growing line of “90+” varietals (more about 90+ in future posts), along with a decent selection of standards. And he delivers locally! 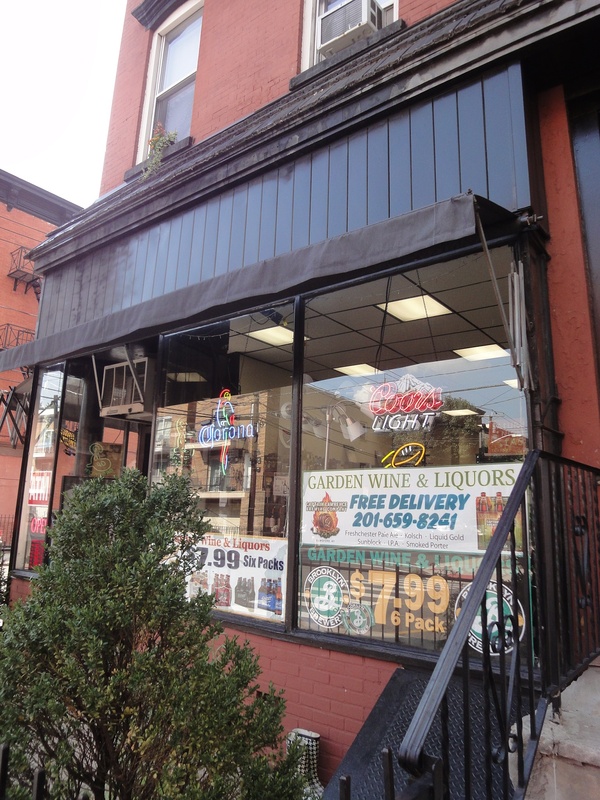 Washington Liquors – an unassuming storefront on Hoboken’s main drag, it gets a rave from my neighbor Beth, who says the owners are super-knowledgeable. Bonus: impressive diversity of beers on offer. Vino di vino – the go-to wine shop for many in Newton, Massachusetts (there’s a second location in Brookline). Their daily tastings are a big draw, and make it easy to find something new to take home. 80/20 Wines – my dear friend Linda swears by this Pueblo, Colorado, shop, where 80% of the wines sell for under $20. Vine and Table – my cousin Priscilla recommends this combo gourmet food market/wine store in Carmel, Indiana. It’s the place to find the elusive Kokomo Wine! Care to give a shout out to your neighborhood wine store? This entry was posted in Shopping and tagged 80/20 Wines, Garden Wine & Liquor, Vine and Table, Vinodivino, Washington Liquors. Bookmark the permalink.